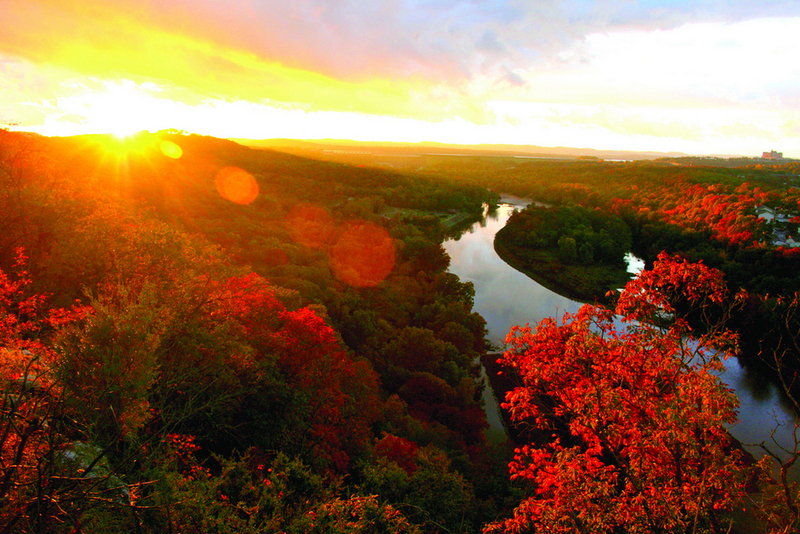 Branson is home to three beautiful lakes! 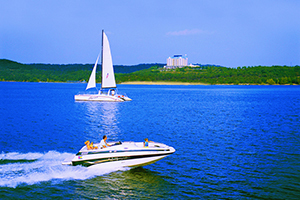 Also known as the Tri-Lakes area, Branson boasts three incredible lakes, each with unique characteristics that make it ideal for all kinds of water recreation activities. Table Rock Lake - A Branson Jewel! The Showboat Branson Belle is an exceptional way to enjoy Table Rock Lake; it features amazing meals for lunch or dinner cruises, an incredible live show, and the opportunity to view the lake and surrounding scenery from its decks. 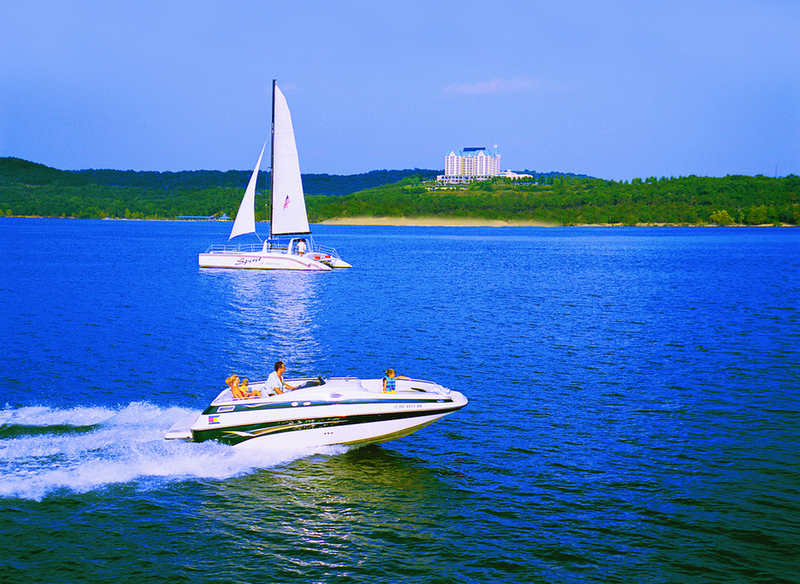 Read more about Table Rock Lake and view its lake map. Lake Taneycomo - Makes Branson Famous for Trout Fishing! After the White River was tamed with the construction of Table Rock Dam in Branson, and Powersite Dam in neighboring Forsyth, it essentially turned the river below Table Rock into a lake, known as Lake Taneycomo. This 22-mile stretch of water, covering 2,080 surface acres, runs from Branson to Forsyth's Powersite Dam. Read more about Lake Taneycomo and view its lake map. Bulls Shoals Lake...rounding out the "Tri" in Branson's Tri-Lakes! Bull Shoals Lake begins once Taneycomo flows over Powersite Dam. 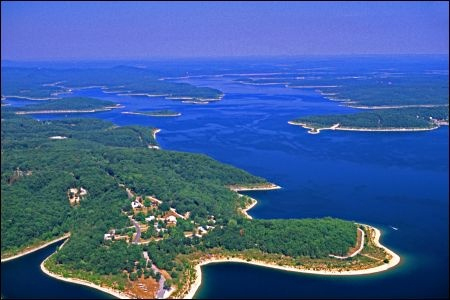 Bull Shoals, a warm water lake, spans 45,000 acres and boasts nearly a one-thousand mile shoreline surrounded by deep forest land. It's known for excellent bass fishing and other water recreation; fewer Branson visitors find their way to Bulls Shoals, so finding your own little spot to spend the day is easy on this scenic lake. Read more about Bull Shoals Lake and view its lake map. Branson - the destination for every water fun enthusiast! Branson offers not one, not two, but three beautiful, clean, clear lakes to enjoy everything from fishing to swimming, and from big music show cruises to relaxing, comfortable, scenery-viewing cruises, and just about every activity in-between that can be enjoyed on the water...you can find it all on your choice of three superb lakes, right here in spectacular Branson, Missouri!